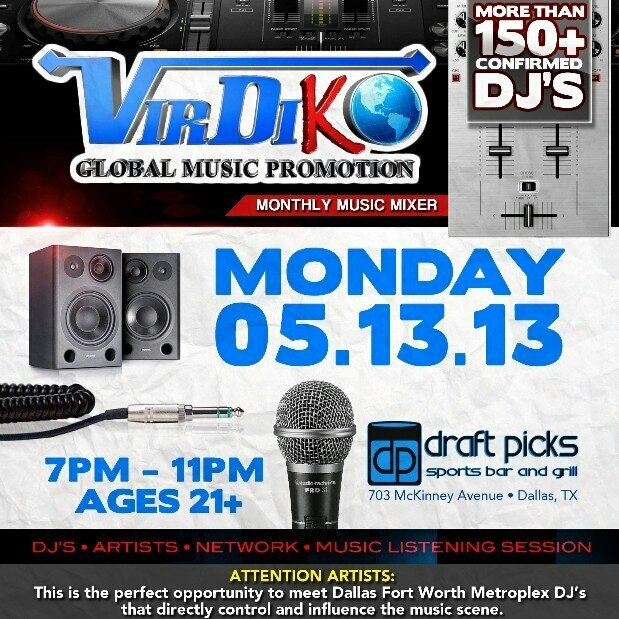 VirDiKO Global Music Promotion Proudly Announces Their Second Monthly Music Mixer at Draft Picks Sports Bar and Grill in Dallas, Texas on Monday, May 13th, 2013. The Networking Mixer Extends an Invitation to Network with Musical Experts Discussing Relevant Topics to the Music and Entertainment Industry. Dallas, TX, May 8, 2013 /Krista Kelley PR, LLC/ – – VirDiKO Global Music Promotion brews another round of networking this month on Monday, May 13th at local sports bar and grill, Draft Picks-located at 703 McKinney Ave. in Dallas, TX. Focusing on all aspects of today’s music scene, VirDiKO president and founder “big daddie THE DJ” serves as the evening’s moderator. The networking event aims to bring some of music’s best upcoming and established disc jockeys and artists together to discuss industry trends, while providing an occasion to connect with music industry professionals on a more personal level. Special guests in attendance include Mystikal, K104’s Bay Bay, Bigga Rankin, Dorrough, DJ ASAP, DJ DRE, Bigg V, DJ Q, Tony Neal, and over 200 DFW disc jockeys from various coalitions. The event is open to the public ages 21 and over from 7:00 P.M. to 12:00 A.M. Early arrival is strongly suggested. Attendees can expect to network in a relaxed atmosphere utilizing music as a common ground. Complimentary admission is provided to disc jockeys registered at http://www.VirDiKO.com. All other guests are required to invest $10 to attend the event known for advancing talent in the competitive entertainment industry. 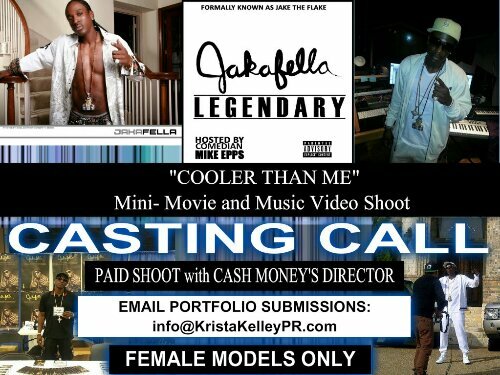 Sponsors include Versa Printing, Loud Graphics, and Music Beats. VirDiKO is an abbreviation for Virtual Distribution “KO”mpany. VirDiKO is a premier provider in web based promotions and marketing in the entertainment industry. Connecting veteran and amateur artists of music, poetry, production, photography, comedy, and dance through an online database, is a service provided by VirDiKO Global Music Promotion.